besides the birthdays of baby hulk and my FIL. As a Marine Corps family it is a special day. traditions of the Marine Corps. 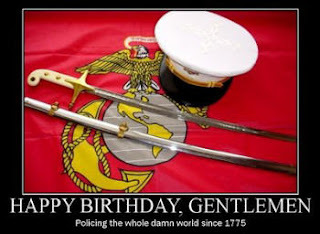 Happy bday, Marines! I salute you!